CHROMUS: 3,300+ Fans on radioairplay.com! CHROMUS just passed over 3,300 fans on radioairplay.com! CHROMUS: 3,000+ Fans on radioairplay.com! CHROMUS just passed over 3,000 fans on radioairplay.com! Phil and Max Davis interview with radio station KAHS about Chromus. We have amazing news - this makes it three years in a row!! It's an honor to be placed on the ballot and we need your help to get into the Final Top 5 Nominees. If you are a voting member of the Grammys, we ask for your consideration in voting for Chromus. Also, if you know someone else who is casting their vote in this year's Grammys, please forward this email and ask for their vote on our behalf. If you're not a voting member, we would still appreciate you spreading the word to everyone you know about this great moment. After all, this has all happened because of your amazing support over the years. Feel free to reach out to everyone you know by Email, on Facebook, Twitter, and all other social media sites. CHROMUS: 2,500+ Fans on radioairplay.com! 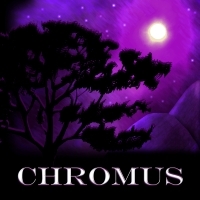 CHROMUS just passed over 2,500 fans on radioairplay.com! Chromus II CDs are now available on CD Baby. Click here to view the album, read the bio, and listen to clips of all the songs! 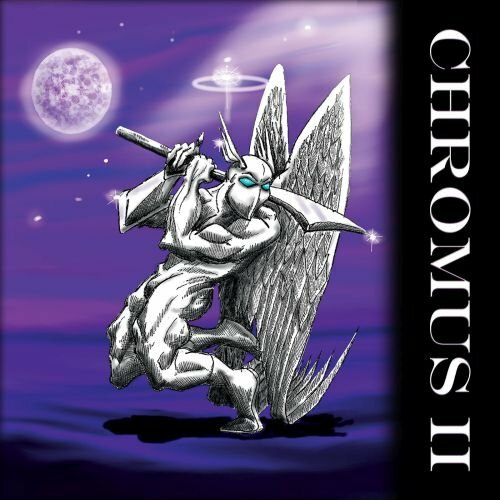 CHROMUS is proud to announce the completion of their second full-length progressive rock cd "Chromus II". This 13-song epic, 3 years in the making, is now available on Amazon, iTunes, Spotify, and all of your favorite music sites. Scott Karnas (vocals), Max Davis (guitars), Mike Peterson (drums), Don Bird (bass & keyboards), and Phil Davis (keyboards & vocals) have all raised their craft to an even higher dramatic level with their second album. Crank up the volume and ride along with them as they lead you from the Gates of Hell to Jerusalem in their unique, hard-rock vision of a soldier returning from war. The cd includes 7 panels of full-color original art with illustrated lyric sheet, hand-drawn and colored by Chromus drummer Mike Peterson and assembled by Johnathan C. Davis. The physical cd including all color panels of art is now available on Amazon. Hey everyone - great news!! Our single 'Disillusion Man' has been added to the on-air playlist at IndieCast Radio! To request the track, go to http://www.indiecastnetwork.com and click on 'Contact.' You can listen to the station at that link also! CHROMUS on the 2016 Grammy Awards Ballot! CHROMUS - "Under the Ruins"
We Wish to Thank You All so much for your continuing support! 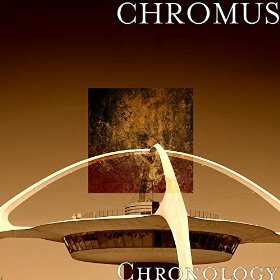 CHROMUS's new 3 song single, Chronology, is now available for download on Amazon! CHROMUS: 2,000+ Fans on radioairplay.com! CHROMUS just passed over 2,000 fans on radioairplay.com! Check out CHROMUS on Big Noise! Lyrics to the first album, CHROMUS, have been posted on the music page! CHROMUS is hard at work in the studio recording their second CD, CHROMUS II: MAXIMUS! As of January 10, 2013, CHROMUS is #23 on ReverbNation's Regional Rock Chart with their single "Rain"! 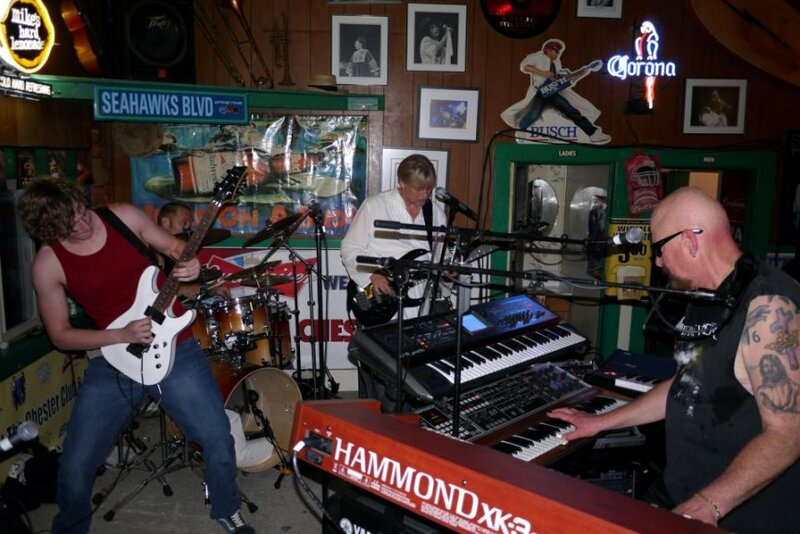 CHROMUS will be performing Live at The Chester Tavern in downtown South Bend, WA on Saturday night, June 30th, 2012. They will be performing their first cd in its entirety with the first show @8:30pm and a second show @10:30pm. Come and see CHROMUS rock the house at The Chester! CHROMUS's first album is now available on Amazon! Entire CHROMUS Album Available for Streaming! The entire CHROMUS album is now available for streaming on chromus.net - soon to be available for purchase!